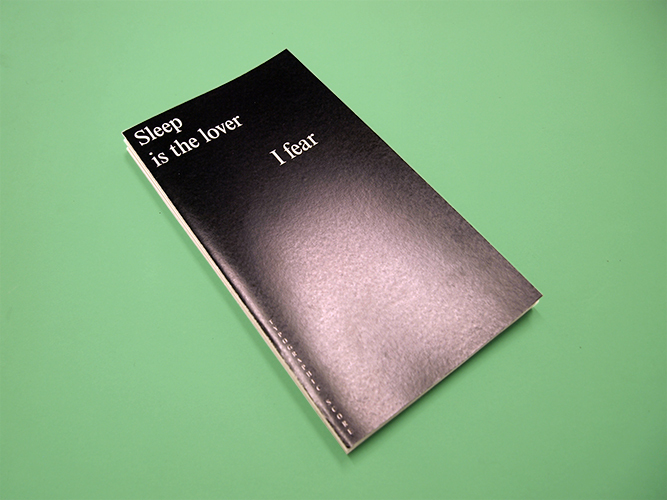 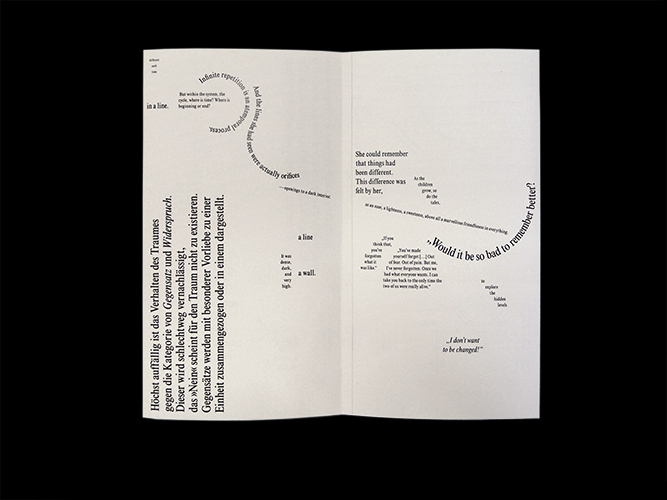 Sleep is the lover I fear is a translation of the work Das ›Nein‹ scheint für den Traum nicht zu existieren into the 2-dimensional space of printing in the format of a typographic score, taking shape as a long folded leporello,. 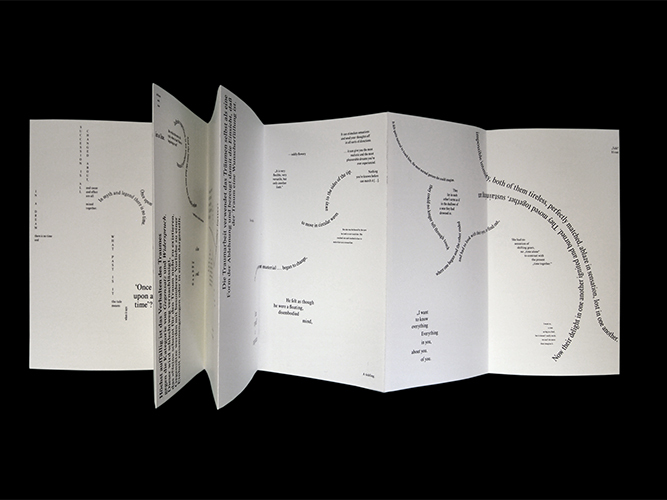 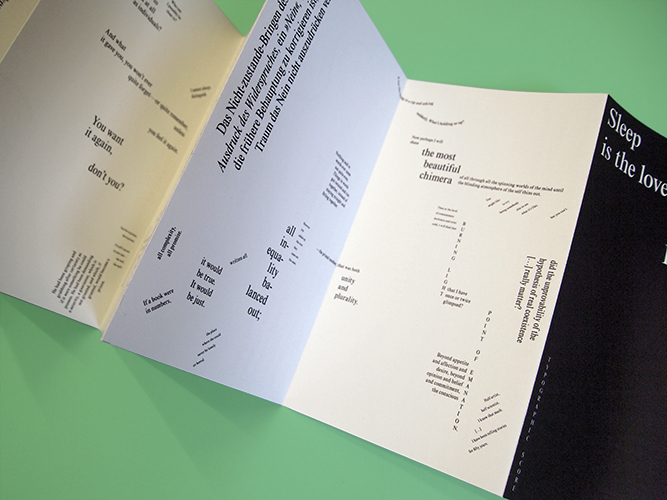 The work is a close observation of the visual and sonic qualities a text can have by itself. 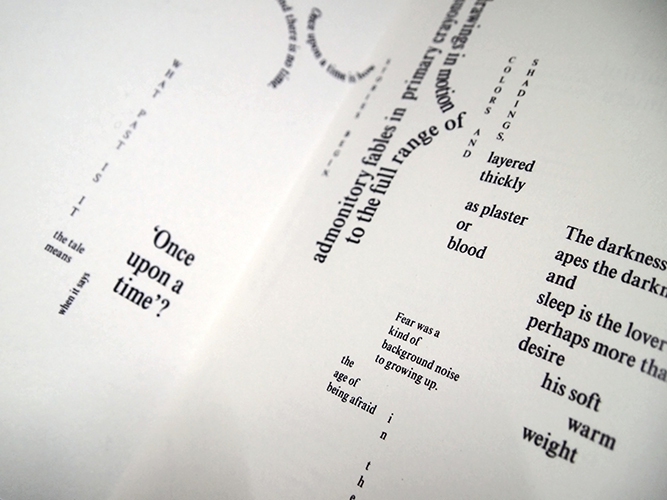 Through arrainging text fragments from Freud’s Traumdeutung as well as feminist science-fiction I create an onomatopoetic language-landscape, that explres ideas around physicality, sleep, dreams and desire.